Maine sculptor Forest Hart turned the Bobcat statue vision into this reality. Here, a closeup of the bobcat after its unveiling. 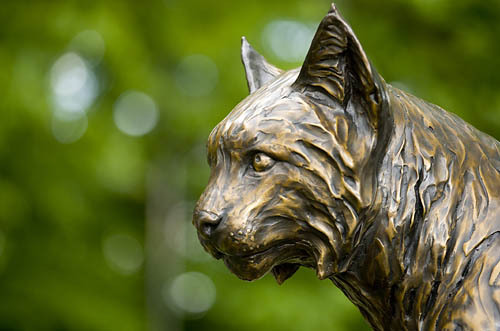 Watch a video of the dedication and unveiling of the new Bates Bobcat statue made possible by the Class of 2004 and other donors. Read the citations for alumni award winners Burton Harris ’59 and Jennifer Lemkin Bouchard ’99. View the program from the 2009 Alumni Memorial Service honoring Bates people who have passed away during the year. 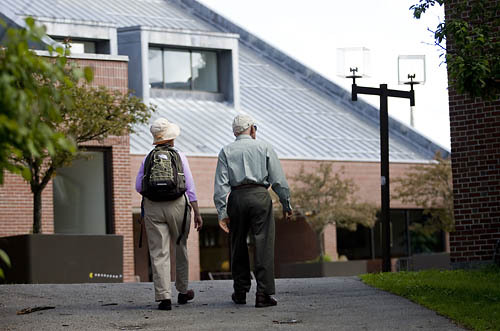 Browse Reunions from the past. Primary Reunion photography by Phyllis Graber Jensen , H. Lincoln Benedict ’09 and Marni Lyn Sienko.